An event as part of the exhibition "Köln um halb acht"
In conversation with Daniela Berglehn, Céline Berger will present her project „Kein dritter Mann“ (No third man) that was developed in the context of „VISIT“, the artist residency programme of the innogy Foundation. 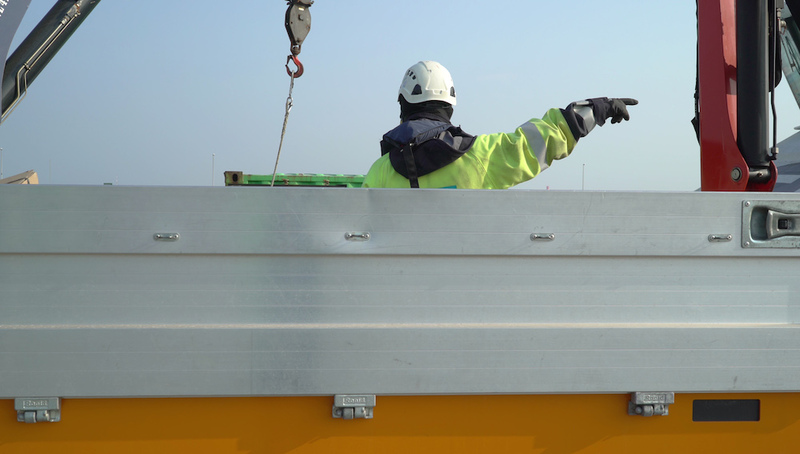 Céline Berger spent two weeks, one shift, with the team of the Nordsee Ost offshore wind park. Based on her experiences, she developed the exhibition „Kein dritter Mann“ that was embedded „in situ“ inside the everyday work life of the offshore wind park. Céline Berger, born 1973 in Saint Martin d'Heres, France, is an artist and lives in Cologne and Rotterdam. Her work deals with language and imagery of today’s job and company structures. Before her studies at KHM Academy of Media Arts Cologne and at Rijksakademie in Amsterdam, she made a degree in Physics and Material Sciences and worked as an engineer for semiconductor companies. Berger is recipient of the 2015 scholarship of the Foundation for film and Media, North Rhine-Westphalia, which is supervised by the office of medienwerk.nrw, Dortmund. Daniela Berglehn is project manager of the innogy Foundation and curator of VISIT.